Like I was saying this site operates a test kitchen and if they really like something they award that recipe blue ribbons, kind of like the fair. I have one recipe that the test kitchen pinched and tried and guess what, this lady earned herself a blue ribbon! Don’t let me fool you I earned this highest accommodation a few years ago, but like I said I was wandering through some of my recipes and this one came to mind. I know the anticipation is killing you at this point as to what recipe this could be. Well, it was a simple Margarita Cupcake with Tequila Lime Frosting. This frosting by the way is amazing, like eat the whole bowl amazing. 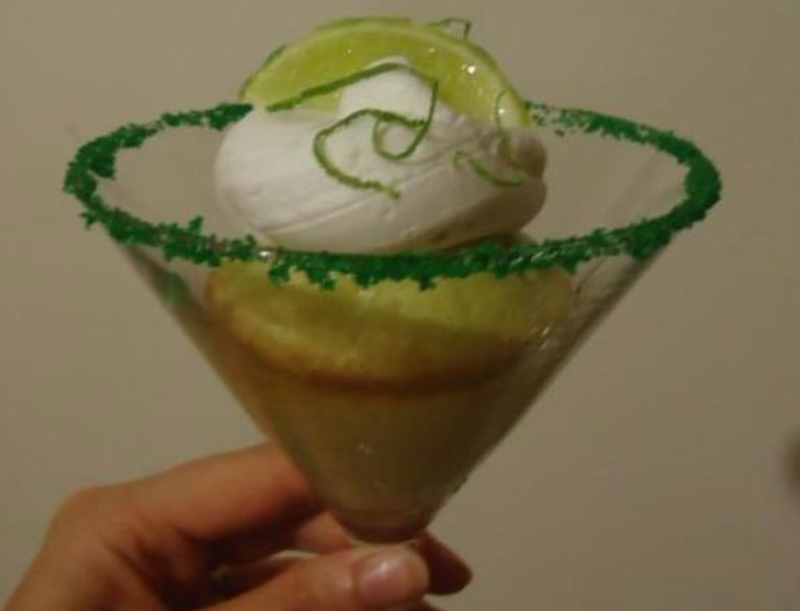 To challenge myself a little further I baked the cupcakes in margarita glasses! I think I just heard a gasp… yes, I baked the delicate glasses with the batter in them in a 300F oven… and it worked perfectly! Just like a glass baking dish! I used a traditional white cake mix with the addition of a little green food coloring, and the recipe for this amazing frosting below! Mix all ingredients together until smooth, and top with the lime wedge and additional grated peel. Happy cooking everyone!